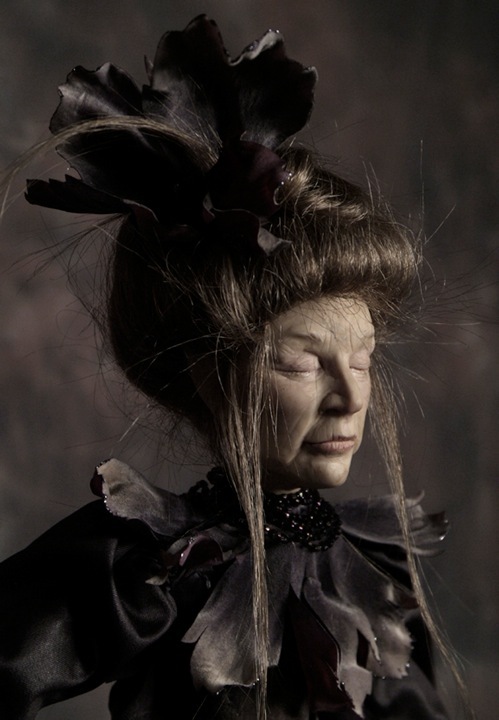 Wendy Froud first gained acclaim as an artist and sculptor when she created Yoda for Star Wars: The Empire Strikes Back. Her work with Jim Henson on Dark Crystal and Labyrinth also won the hearts of fans worldwide. She has worked to provided lush imagery for the pages of Terry Windling’s Children’s Books and often collaborates with her husband Brian. It was an honor to sit down with her and get a glimpse into one of the most creative minds of our time. Where did you grow up? What were you like as a child? Did you always have an active imagination? I grew up in Detroit, Michigan and I spent my summers in Northern Michigan at our family home in East Jordan, so it was both a very urban setting and a lovely rural one as well. I was an only child but I never felt lonely (or not very often). I certainly always had an active and sometimes overactive imagination, encouraged by my mother, who read all sorts of books to me as a child but particularly fantasy and mythology, with a touch of British history. 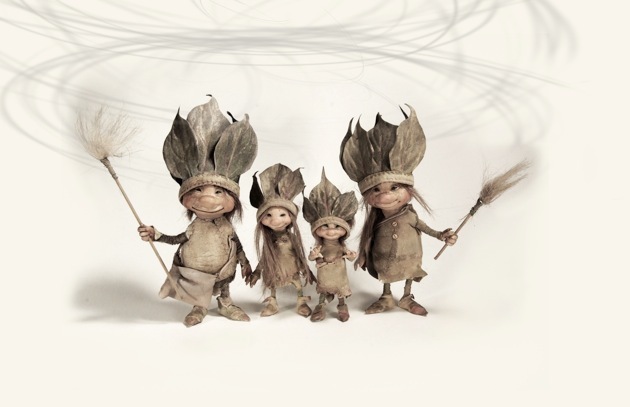 Did you believe in fairies as a kid? Yes, I did. Again, encouraged by my mother. We made houses for them in the garden and left offerings of food and drink and flowers for them. I was named after the Wendy in Peter Pan so really, I had no choice but to believe! Did you ever have a favorite Fairy Tale? I don’t think I had one particular favorite but I did have a favorite book of fairytales. It was The Fairy Tale Book with illustrations by Adrienne Segur. It really influenced the way I looked at illustration and has very much influenced the look of my own work. I have found that many other artists and writers, especially female fantasy artists, have been influenced by her illustrations and this book in particular. What was it like having parents who were artists? Do you think that sort of thing is passed on most often through genes, or encouragement, or a mix of both? I think it is often a mix of both. Many of our friends were artists, writers, musicians, and patrons of the arts while I was growing up. It seemed natural to be creative in some form or another. In fact I remember finding it very odd when I visited friends’ home and found that there were no paintings on the walls, no sculpture in the house and no books , or at least not in the vast quantities that we had in every room! I was always encouraged to find what ever creative outlet interested me at the time but I always tended to gravitate toward three dimensional work. 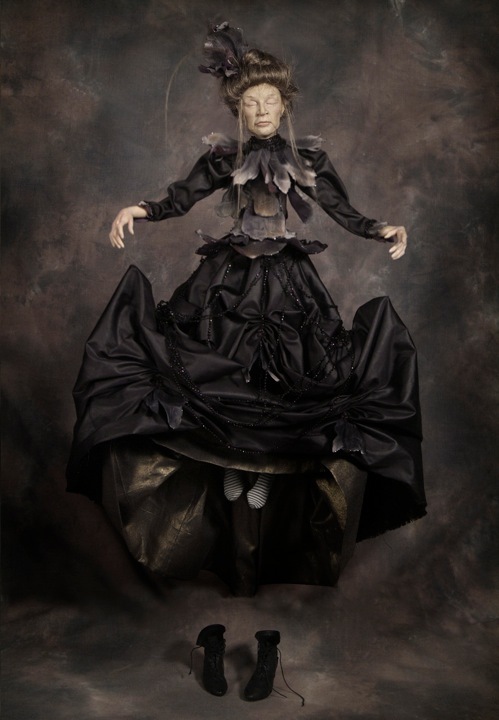 I started making dolls when I was about six years old and never gave that up. What would you say is the most important thing they ever taught you? They taught me to believe in myself and my ability to do what I was passionate about. They would have encouraged me to be an accountant if that was what I truly wished to be. I think that one of the most important things a parent can give a child is support and encouragement. What was it like when you were asked to created the Yoda character for Star Wars: The Empire Strikes Back? To be honest, I had no idea that Yoda would become anything like the icon he now is. I doubt that any of us who were involved in developing Yoda knew what we had started! I must be clear on this – I didn’t create Yoda – I was one of a team working together on creating that character. I DID sculpt the head that was originally approved and then Stuart Freeborn (the head of the department) resculpted to make it technically easier for eye blinks, etc. But the look of Yoda was my sculpt and although we had sketches to work from, he developed through the sculpting . We were constrained by the size having to be “handpuppet” size – meaning that Frank Oz needed to be able to get his hand inside the head and puppeteer comfortably ( or relatively comfortably!). What did you base the form of Yoda on? Where did you get your inspiration for his character? It’s often said that Yoda was based on Stuart Freeborn but that was probably unintentional, until someone noticed the resemblance and then in later films it was made more pronounced. Having said that, we did work in the same room for months developing Yoda so I guess he had a fifty-fifty chance of looking either like Stuart or me. It’s a good thing he ended up looking like Stuart! What was it like working with Jim Henson? Jim was an amazing person to work for and with. He was one of the most generous people I have ever met. He allowed everyone working on Dark Crystal to be creative and he always seriously considered everyone’s suggestions. He didn’t always agree but he always listened. He had a wonderful sense of humor and he was extremely charismatic. People just WANTED to please him and do what he asked of them. But, he was also a tireless worker and set that example for us as well. He was an incredibly creative man. Why do you think the characters on Star Wars, Dark Crystal, and Labyrinth are so timeless in their appeal? I think they have an integrity that makes them believable. You WANT to believe in them and as soon as you want that, you also want to follow their story. They take you with them on their journey and you care about them. Good or bad, you have entered into a relationship with them because you feel that they exist outside of the movie screen. I truly think that because they have a physical presence, they will continue to be more believable than characters created exclusively in a computer. Also, there’s a humor in all of these films that is very appealing.Often super heroes take themselves far too seriously! Do you think with today’s hectic pace the world needs a little fantasy now more than ever? How did you and Brian meet? We met at the very beginning of Dark Crystal when we both came to work in the Muppet workshop in New York on this new project that was just beginning to be developed, Dark Crystal. We knew that the look was going to be based on Brian’s artwork and style but beyond that, the six of us who were the core group, were given a basic storyline and told to experiment. How wonderful and how rare to be able to do that! After being married for 34 years? I’m not sure, really. I love so many things about him, but I suppose the thing I really love is his commitment to his art and to Faerie. How does it feel to get to work alongside someone you love? It can be a very exciting experience, but also a very frustrating one. We have had to figure out ways to work together without letting our years of being together impinge on our professional work. We have to forget about personal things that annoy us. The wonderful thing about it is that we really DO work well together. Our vision is very similar although we express it in different ways. We love bouncing ideas off of each other and we have learned to listen carefully to each other’s opinions. Cooperation and compromise are very important for a good creative experience! What advice would you offer someone who wishes to work in the realm of fantasy as you do? I think my advice would be to truly WANT to do it and commit yourself to trying to find the truth behind your work. It is or should be a vocation and not just a job. Again, I would say that it is finding something that you truly believe in and wish to share with the world. Compassion and awareness are also key components of a life well lived at least that’s what I believe! 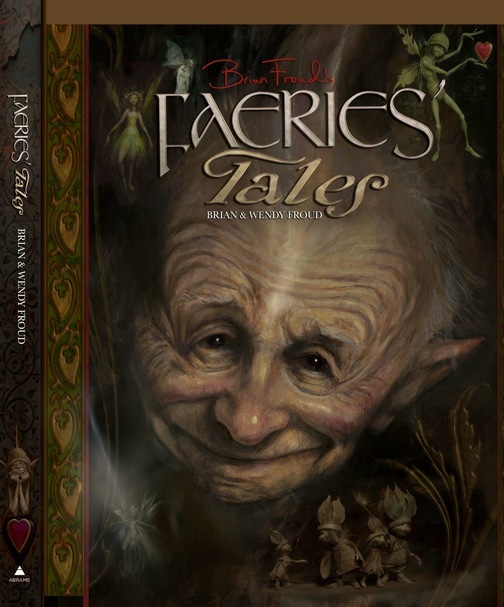 We are just beginning to promote our newest book Brian Froud’s Faeries’ Tales which is coming out in September. It’s another large book like Trolls and is quite beautiful (if I do say so myself!). 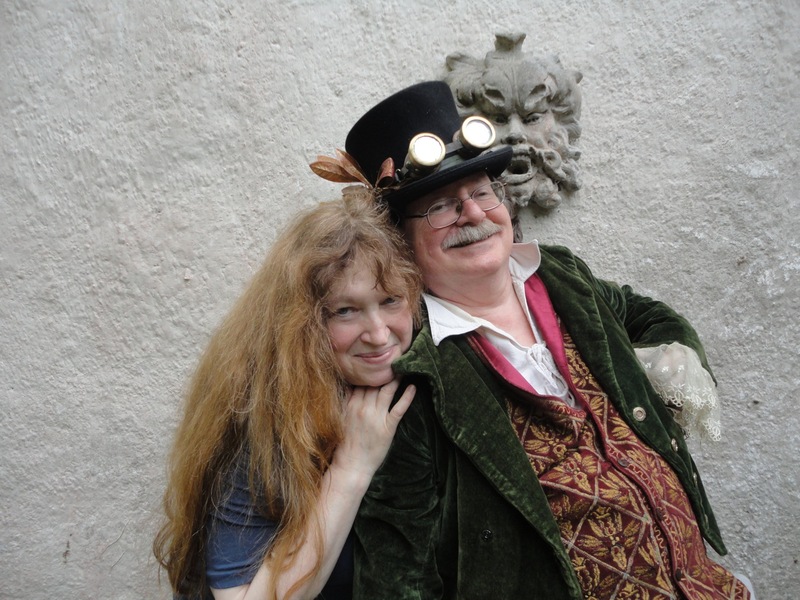 Brian has painted a great number of full -face portraits of faeries. They look straight at the reader and you can’t help but engage with them. Some are confrontational but they all are extremely compelling. I have been the “mouthpiece” for each portrait, writing down what they seem to be telling me. 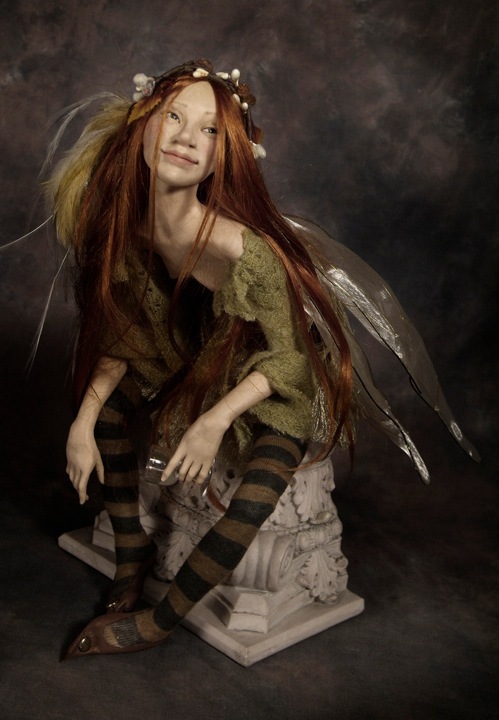 They tell their own tales and although some of them are tales and stories we know well, they are always told from the faery’s point of view and can be quite surprising. I’ve also sculpted figures for photography in the book and there are pages of faerie objects as well as a story that runs through it and draws the whole thing together. The response from everyone who has seen it so far is just fantastic! It’s a very unique book. Do you have a dream project you’d most like to bring the world? 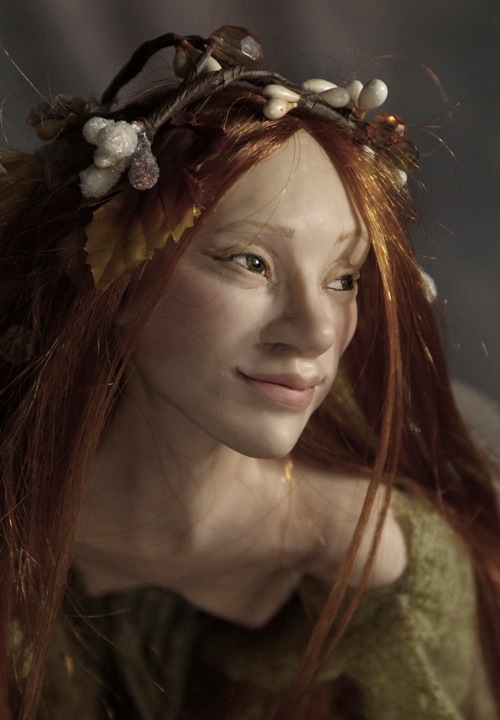 I suppose bringing a Faery film to the world that was a true depiction of Faerie as Brian and I see it would be a dream project. Our son Toby has just premiered a short puppet film called Lessons Learned that is in the “Froud” style very reminiscent of Dark Crystal (Brian designed one of the creatures in it). It has had a great response so far and has already won awards at a film festivals. We see this as the beginning of new and bigger things to come and it is very much the beginning of a dream project! 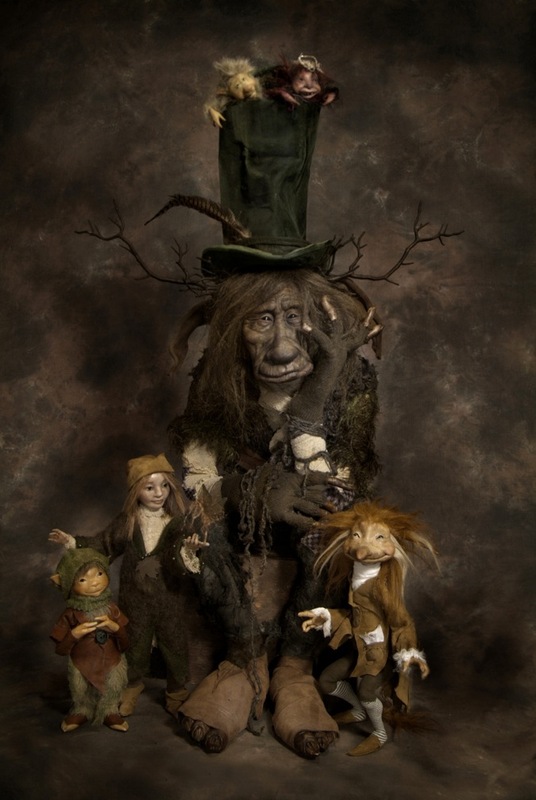 People everywhere seem to be SO ready for new puppet films like the past Henson/Froud collaborations. Heather Henson’s production company funded Toby’s film so things are beginning to come full circle. I hope this doesn’t sound like whining but, what I’d like to say is this, if you (the reader) like our work, like what we do, and want us to keep doing it, then please support us in any way you can. Buy our books. Tell your friends to buy our books. Especially the new one coming out in September! Spread the word. Without your support, we can’t do what we do, and as long as we are able to do so we want to keep working and exploring the world we love and bringing it to you. Oh, what a lovely read! Thank you for asking such open questions and it’s nice to find clarification of the Yoda sculpt.